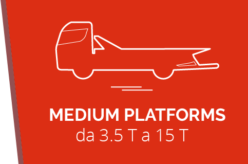 Aluminium platform with high capacity: ideal for trucks and cars transport. High resistant steel platform: ideal for trucks and cars rescue. Intermediate platform complete with a central arm suited to vehicles under very difficult conditions. 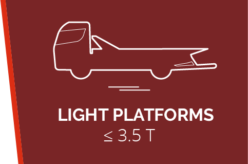 High resistant steel platform: ideal to be equipped on vehicles up to 10t. Steel platform essential for the rescue of all vehicle type. Steel platform with a central arm, pivotal for the rescue of all vehicle type also under very difficult conditions. Underlift complete range for the rescue: suitable for all kind of vehicle. Second loading level in order to increase the vehicle loading on the sliding platform. PianHigh resistant steel platform: ideal to be equipped on vehicles up to 15t. High resistant steel platform with a central arm used for the rescue also under very difficult conditions. Supply and assembly of complex cranes for the rescue.